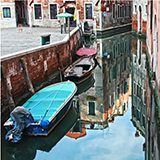 Artist Sarah L. Singer’s contemporary photographs of the area that once was the Jewish Ghetto of Venice pay homage to the 500 years since the inception of the ghetto. Her fine art prints of the Jewish Ghetto have been exhibited in multiple venues, including sites in Israel and in Italy. The Jerusalem-based artist notes that she hopes the exhibitions will “share the positive message of the Venetian Ghetto, where for 300 years, persecuted Jews from all other Europe came and found refuge. Although they were confined on an island, they lived in harmony and its influence spread not only in Italy, but all over Europe.” She explains that many people are not aware of this aspect of Venice’s history. She hopes that her photographs will help share this rich story that is an example of both the resilience of the Jewish community and the possibility of living together with others in harmony. The prints are available for sale through the exhibition’s website. 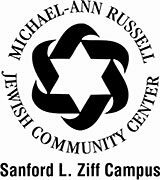 Targum Shlishi’s support helped with the realization of three innovative projects organized by the Michael-Ann Russell Jewish Community Center in North Miami Beach. “Butterflies Don’t Live Here Anymore” was a modern dance performance to commemorate the Holocaust in a creative and moving way. The event, presented in conjunction with the 2015 Holocaust Remembrance Day, took place three times, twice for the community and once for school groups, by Panama’s Espacio Creativo Foundation. The dancers included eight professional dancers from choreographer Fernando Hurtado’s dance company and seventy dancers from the local community. Additionally, Targum Shlishi supported the center’s Israel Independence Day Celebration, a free celebration that brings together many local organizations, agencies, synagogues, and schools in a diverse, free program that includes exhibits, performances, and interactive activities. Targum Shlishi also supported the annual Meet the Author Jewish Book Series, which brings several authors to the Miami area for free author events, and seeks to address a lack of Jewish literary programming in the Miami area. 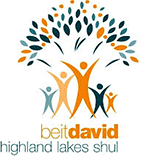 Targum Shlishi has provided general support for the Beit David Highland Lakes Shul in 2015. The foundation has provided support for the congregation in the past; in 2011 it dedicated a Torah in memory of children killed in the Holocaust and in honor of Israeli soldiers.